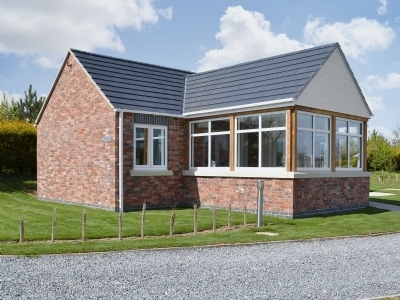 These lovely, detached holiday cottages (refs 30936, 30937 and 30938) are part of the Hillview Leisure Complex, adjacent to the owner’s property and set in 25 acres of landscaped parkland around four well-established and renowned fishing lakes. 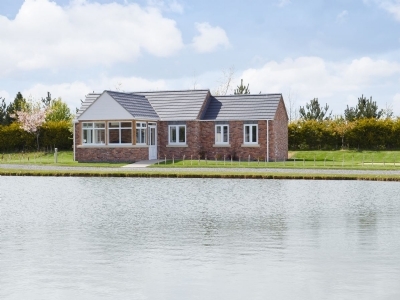 For those who enjoy fishing, the lake is straight in front of the cottage and this tranquil and peaceful location has also received five David Bellamy Gold Awards for conservation. Enjoy the relaxed atmosphere of this exceptional leisure park, close to the coast, with the beach at Chapel St. Leonards within 2 miles. Or for more lively seaside fun, Skegness and Fantasy Island Theme Park is under 8 miles. 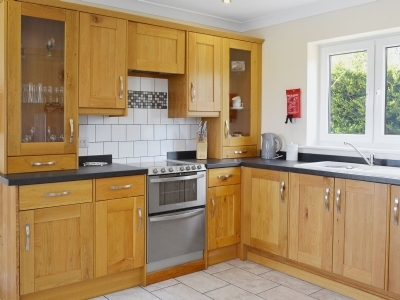 Nature reserves, golf courses, farmers’ markets and quaint towns are all easily accessible. Beach 2 miles. Shop, pub and restaurant ¼ mile. All on ground floor: Living room with tiled floor. Dining room/kitchen with tiled floor. 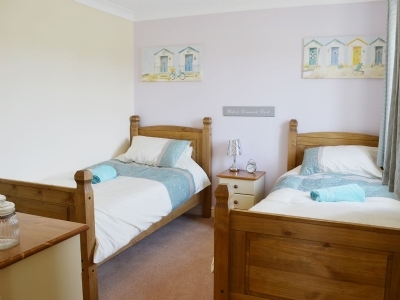 2 bedrooms: 1 double (5ft) with en-suite shower room and toilet, 1 twin. Bathroom with shower over bath and toilet. Electric Cooker. Lawned garden with patio and furniture. Parking (2 cars). Cycle store. Hot tub. No smoking. 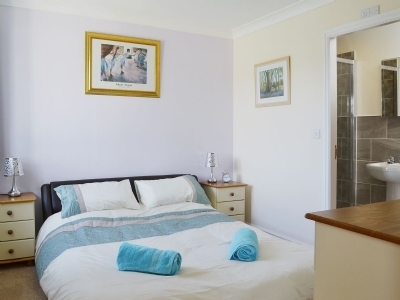 All properties: Gas CH, elec, bed linen and towels included. 32" Freeview TV. DVD. Stereo/CD. iPod dock. Microwave. Dishwasher. Fridge Freezer. Wi-fi. BBQ. Coarse fishing on site (£20pw, £4 per day, licence required). No smoking. Note: Unfenced lake in grounds. Excellent local pub which serves good food in the restaurant. There are lots of lovely walks in the area, perfect for building up an appetite before lunch, dinner or afternoon tea! A great pub to relax in with traditional pub grub! The Indian Queen and Three Kings is a traditional pub located in the heart of the town. It has undergone a renovation project turning it into a glamorous contemporary Victorian pub with lots of charm and grandeur. It is tastefully decorated with traditional furniture and furnishings and is home to various nooks and crannies, as well as a library, where you can enjoy a quiet drink in the relaxed and comfortable surroundings. It is home to a pleasant beer garden that offers a nice retreat on a warm sunny day. They serve a good selection of beer and ales as well as guest ones and they are all sourced in the UK. It is open daily from 12.00am to late. There is plenty in the way of entertainment with a pool table, darts and live music. The Thatched Cottage dates back to the 12th century. Lovingly restored, this restaurant oozes charm and warmth. In the grounds, visitors are welcome to wander the nature trails which wind through the 7-acre arboretum, with its 3000 trees of 20 species and picturesque area of natural fen. A welcoming village pub that serves homemade food and good beer in a friendly atmosphere! Right on the beach in Cleethorpes, this restaurant's roof terrace provides the perfect location to take in the wonderful panorama on summer days and nights. Hardy's Animal Farm is a fun way to see a modern-day farm at work. Children especially will love seeing the sheep, cattle, pigs, goats, ducks and poultry. There's an adventure play area where they can let off steam and tea rooms so parents can relax too. Looking for a day out with a difference? On Your Marques Model Car Museum could be just the ticket. Enter a world of motoring in miniature, take a trip down memory lane then marvel at the modern toys on display. Perfect for big and small kids alike! An endless array of things to do include, white knuckle thrills, roller coaster and water rides and lots of excitement for younger children. A great family day out. Various eateries are available. Step back in time to a rural life of heavy horses, mangles and farmhouse buildings. Numerous true to life exhibits show this working farm looking like it did before tractors and washing machines. Traditional Lincolnshire apple trees and a variety of herbs are grown in the orchard and gardens. Church Farm Museum is a popular choice for a fun family day out. Feeding time for the seals and penguins is very popular at Skegness Natureland, one of the most entertaining and informative attractions on the East Coast. Reptiles and creepy crawlies inhabit the Tropical House and visitors can feed the animals in Pets Corner. Lost World Adventure Park is an outdoor amusement park. The park is open daily from 10.00am to 6.00pm dependent on the weather, you pay a price in that covers you for the rides and activities on offer. Once you get through there is lots to keep children entertained with crazy golf, slides, bouncy castles, fairground rides and you can even try digging for fossils, it is probably only for those aged 9 and younger, not much to keep older children entertained. It is perfect for the smaller ones as they are the right height for all the rides and will get the most enjoyment here. There is a critter trail with a small selection of insects. There are no toilets within the park, they are located just outside, you get your hand stamped and come and go as you please. There are a number of stalls with games that are extra to play. The pier in Skegness has been an integral part of the town's heritage since it was built in 1881. Facilities on the pier include a bowling alley, children's indoor play area, laser quest and arcade amusements. Bottons Pleasure Beach is long established as a fun and exciting day out for all the family, in a prime location along the seafront. It is a very popular attraction to both visitors and locals in Skegness. It is a classic fairground with a diverse choice of rides ranging from the fast and exhilarating to those that are slow and sedate. There is a great choice of rides and side stalls. The theme park is open for the majority of the year, and throughout the spring and summer months. Buttons Pleasure Beach offers a range of payment offers to cater to all budgets thereby, ensuring everyone can enjoy the fun here, the best option is probably the wristbands if you want to try all the rides. The area is well maintained and is clean. Buttons Pleasure Beach offers a great day out for all, loads of fun and laughs all for a fair price. Makers of robust, functional tableware and giftware, Alford Pottery has a pot to suit all requirements. Come and see the experts at work and watch the pots being made. Children will find it particularly fascinating! This sanctuary cares for retired and disabled horses. Visitors are welcome and donations are encouraged. They hold special events throughout the year. This is one of the country's oldest family run breweries. Based in a windmill on the River Steeping, this brewery is very picturesque. Take a guided tour around the brewery or play with the traditional pub games. Other facilities include The Mill Bar, cafe and gift shop. This enchanted paradise is home to hundreds of birds, otters, chipmunks and wallabies, all of which can be seen wandering the grounds. Picnic in the Enchanted Woods or enjoy afternoon tea in the restaurant. The gardens situated in the Lincolnshire Wolds can be enjoyed again and again! The biggest breeding colony of grey seals is just a few miles offshore from Mablethorpe, therefore admissions to the Seal Sanctuary are quite frequent. Not only does the centre rehabilitate injured and sick seals, they also rescue injured birds and other wildlife. A visit here is not only educational but will also help support this exceptional centre. Situated just 15 minutes from Skegness The Parrot Sanctuary is home to an amazing 1500 parrots. Visitors can observe these fascinating creatures in their natural environment and even become a keeper for the day. 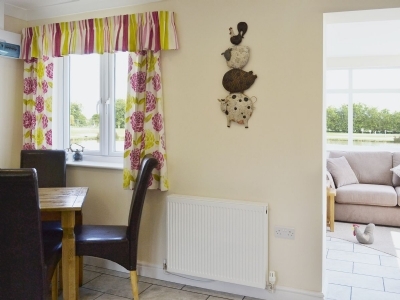 Beautifully placed in the Lincolnshire Wolds, Stockwith Mill sits in an area of outstanding natural beauty. 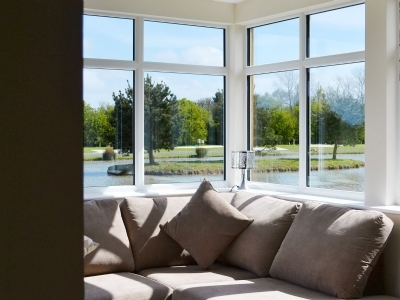 After a hearty lunch in the restaurant why not take a country walk, wander around the mill and craft shop or simply take it easy and enjoy the restful surroundings. Rushmoor Country Park is the perfect place for a family visit, with lots of things for children to do, and lovely surroundings where adults can relax whilst the younger ones have fun with the animals. Inside you will find an amazing variety of animals including otters and penguins as well as a full seal rescue facility and hospital. Among the rich diversity of life in the displays are sharks, seahorses and rays. Considering Boston is a relatively small town it has a huge amount of attractions and history to keep visitors entertained. Architecture, monuments, theatres and tours plus a wide variety of restaurants make Boston a joy to explore! Looking for a day out with a difference? Why not spend the it living the words of the famous song - ' just messing about on the river'? Parties, lunches, seal and birdwatching trips - they are all catered for at Maritime Cruises . This is England's premier lavender farm, take a guided tour around the distillery and treat your nose to a trip around the herb garden. Look around the Rare Breeds and Animal Centre, new in 2010. Enjoy delicious food at the Lavender Kitchen restaurant, visit the gift shop selling a multitude of locally produced fragrant products and see the essential oil distillery in action. You can even learn how to create your own fragrant garden! Snettisham's proud motto is 'a countryside park for all seasons, activities for all ages'. See stags and new born deer, hand feed the hinds on a unique deer safari, ride horses and ponies, follow the discovery trail or have fun in the adventure playground. Pleasure Island theme park offers a wonderful day out on the east coast with its fantastic package of over 50 rides and attractions — try them if you dare! Have fun getting lost in this maze made from conifer trees. There is also a picnic area. Learn to touch and handle animals properly and get to feed them, too! 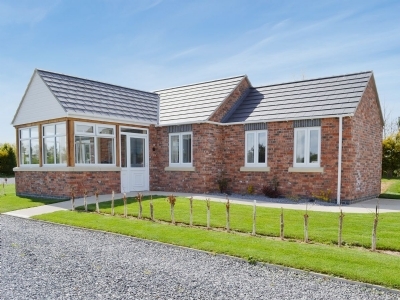 Crammed with farm animals and pets, this working farm offers plenty of other adventures including a play area with trampolines, a sand pit and some exciting kart rides and roller racers. Founded by the Augustinians as a priory it became an almshouse before being elevated to the status of an abbey in 1231. Although, now in ruins due to fire in the 15th century, this is definitely a sight to see during your travels around Norfolk. For a unique way to travel, catch a steam train on the light railway. With a regular timetable from the seaside town of Wells to the historic Walsingham this is the perfect day for the whole family. The journey will take you under 5 bridges and through stunning countryside. Don't forget to visit at the restored signal box at Wells for souvenirs and refreshments. A legendary resort which is well worth a visit; perfect for all ages. 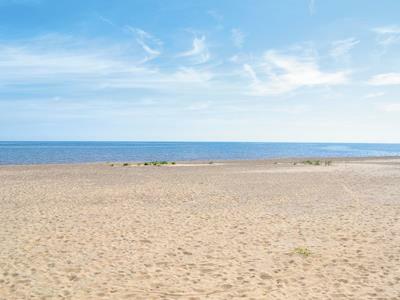 With a long, sandy beach, Skegness is a great place to have some fun in the water and build some sandcastles. There is lots to do at this Blue Flag resort with cafes, restaurants and all the entertainment you would expect from this age old seaside town. A popular family beach with gorgeous golden sand and donkey rides up and down the front. Sit back, soak up the atmosphere and get building those sandcastles! In an area of outstanding natural beauty, this is a great place to spot many species of local bird. See some beautiful beaches in a largely unspoilt section of the county. Wild marram grass and sandy dunes are all that you will find here. A perfect place to relax and unwind away from the nosy arcade games of the better known local beaches. West facing cliffs mean this beach is a little sun trap, with excellent vantage points for spectacular sunsets. At approximately two miles, this charming beach is a ideal for a bracing walk in the winter months or to lay back and catch some rays in the summertime. Go rockpooling, visit the amusement arcades and admire the beautiful Victorian houses poised on the seafront. Accessed by a mile long walk along the Norfolk coastal path at Thornham, these secluded sands are also an excellent for spot for bird watching and winter beach walks. A great beach, which has been popular with holiday makers since the 19th century. Its miles of golden sand are an excellent place to while away the hours with a good book or to take a walk. Keep your spotting eyes on in this natural wildlife haven. Voted best British beach for a bank holiday break by readers of The Times, Holkham beach is three miles long and, at low tide, half a mile deep. A beach for simple activities such as sandcastle building or kite flying, there are no lifeguards or facilities here. Go and spend some time at the gorgeous beach that was also a location for the film 'Shakespeare in Love'. Catch the miniature railway from the town out to the beach. Or if you prefer to walk, the little path provides a lovely route in the summer months. A part of the Holkham Estate, this expansive beach is largely unspoilt and is great for beach sports, bird watching or as a place to simply relax and soak up the views along this beautiful stretch of the Norfolk coastline. No recommended Cycling & Hiking found within 30 miles of this property. North Shore Golf Club is a great course that is a blend of links and parkland holes that are arranged in two loops making a par 71 course, the first 9 holes are parkland and the back 9 links. It is challenging to all level of golfer with lots of natural hazards and a wide variety of obstacles. Located along the coastline the winds can make a round of golf difficult. In addition this excellent course also has a short game practise area and a putting green. The condition of the course is excellent, the greens are a normal speed and the fairways are lovely and green. The staff throughout the club are so friendly and helpful and make visitors feel very welcome. The Clubhouse serves a great selection of home cooked food that is very reasonably priced and the atmosphere is inviting and lively. North Shore Golf Club offers you the opportunity to play a round of golf on a great course for excellent green fees. Set in the heart of the Lincolnshire Wolds at Scamblesby, a small village just off the A153 Horncastle to Louth road, the farm offers lessons, hacks and full, part or working livery, all supervised by a B.H.S.A.I qualified instructor (insured for all riders aged 4 and over). The Oasis Sports and Leisure Centre has a number of facilities including an eco ice rink, swimming pool, indoor bowling hall and squash courts. 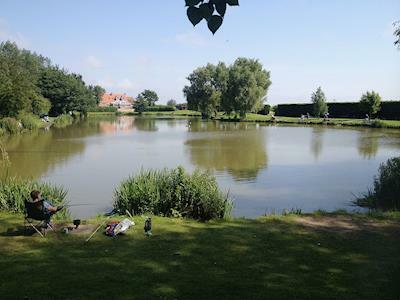 The eight tranquil fishing lakes of Bain Valley Fisheries can be found in the picturesque village of Tattershall Thorpe. Created from old quarry pits, and stocked with carp, tench, rudd, bream, roach, perch and trout, the lakes can be up to 11ft deep. Discover a perfect way for the family to spend a summer's evening at this friendly and welcoming club based on the River Witham at Boston. Whether you're a beginner or more experienced, there are fully qualified instructors on hand. There are two courses, the Hotchkin, which is built on sandy soil that allows for year round play, and the Bracken, which is created from commercial woodland, scrub and arable farmland, and is a course of exceptional finesse and imaginative design. 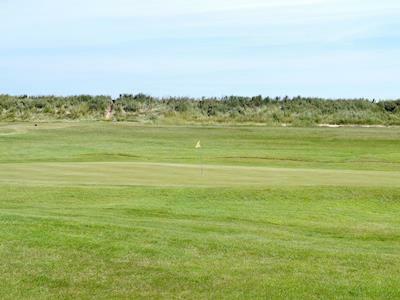 Royal West Norfolk Golf Club is located along the beautiful North Norfolk Coast and is positioned between Brancaster Bay and the salt marshes. It is a true and genuine, par 71, links course that has its roots firmly established in its history and much of the course remains as it was when first established back in 1892. It should be noted that the course is subject to the tides, and at times part of the course can be cut off but, this makes play more interesting. The course is well maintained and is in excellent condition, greens are fast and true, it is not a particularly long course. The course is quite challenging and has a number of obstacles, from the winds that are almost persistent here making play difficult at the best of times, the bunkers are deep, it also has some astounding views and the scenery is gorgeous. The club is very welcoming to everyone and you will find he staff to be very friendly, professional and courteous. They restrict the numbers that play on the course so it is never crowded and remains easy to get around. The clubhouse is lovely, well aged and luxurious and very comfortable, it has excellent facilities, and has a nice menu that is diverse and serves good quality home cooked food. Royal West Norfolk Golf Club is ranked as one of the top 50 courses in the UK and this accolade is highly deserved, it is a fantastic course with green fees that reflect the quality and stature of the course, not to be missed if you get the opportunity. Situated on the Norfolk Coast, in a scenic surrounding famous as an Area of Outstanding Natural Beauty, the Sailcraft Sea School offers a variety of courses. The premier indoor leisure facility on the East Coast, the centre boasts a large family swimming pool with aqua-glide and waves, a gym, spa, sauna, steam room and aerobic hall, as well as squash, badminton, table tennis and of course a bar/cafe. An indoor adventure fun house for children, set in the beautiful fishing town of Wells-next-the-Sea. Fans of the Natterjack toad should head to Gibraltar Point, over 1,000 acres of coastal land stretching from the edge of Skegness south to the mouth of the River Steeping. Around 214 species of birds live here as well. Birders will be in their comfort zone at this exciting and picturesque reserve. Visitors in the summer will be treated to the sight of marsh harriers and winter visitors can admire up to 20 species of wading birds. Observe our feathered friends from benches or hides. Take a look in the shop selling RSPB gifts and also serves hot and cold snacks. A great place to pay a visit all year round, but especially between Autumn and Spring when you will see more roosting and wading birds. Throughout the winter months birds of prey, corn buntings and rock pipits dominate, whilst in summer redshanks, skylarks and marsh harriers can usually be seen. A renowned haven for a wide variety of butterflies and other insect life, the Chambers Farm Nature Reserve is a 360 hectare beauty spot located on the site of a medieval woodland near Wragby. A must see for any nature lovers. Witness thousands of wading birds move onto their roosting banks in front of the hides provided by the RSPB. If you're visiting in winter at dawn or dusk there is a very good chance of seeing pink-footed geese. Whereas a summer visit should reveal huge numbers of common terns and black-headed gulls. A spectacular area of beauty on the North Norfolk coast. Holkham is also the home to an extensive and diverse collection of habitats. See the windswept tidelines, sand dunes and sandspits and explore the miles of creeks and pinewoods. Extending to 1097 hectares, this beautiful, unspoilt reserve encompasses Morston and Stiffkey Marshes, Blakeney Point and Blackeney Freshes. Most of these lovely spots are owned by the National Trust. Why not take a walk around this great part of the county and maybe catch a boat trip to see the seals at the end of Blakeney Point? Gunby Hall's exquisite walled gardens are planted with traditional English vegetables, fruit and flowers, with espaliered apples and pears, and contain a dovecote pre-dating the house. 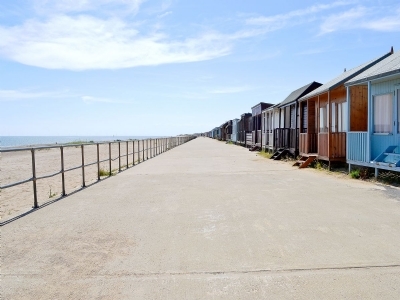 This seaside village is situated on Lincolnshire's east coast. With miles of sandy beach and lots of family attractions on the promenade, you won't be lost for things to see and do. Xsite Skatepark is a premier skatepark and was the very first purpose built indoor and outdoor skatepark in the UK. It started from an idea formed by a group of local skaters and bmxers and has evolved into a superb facility that boasts great amenities that cater to inline skaters, bmxers, skateboarders and scooters. Located indoors is the finest mini ramp around and a first class street course and they continue to improve and add to the amenities to cater to the demands of the users. Outdoors you will find the Plaza this has been designed to provide a genuine street environment and has all the obstacles and challenges needed to create a street experience including ledges, banks, hubbas, stairs and rails. The beauty of this park is that whatever the weather you still get to skate. Xsite Skatepark is not open on Mondays or Tuesdays except during school holidays. The charge for using these facilities is extremely reasonable and includes equipment hire. The park caters to all ages and abilities so everyone can join in the fun, you are required to sign a consent form before commencing and under 16's must be signed in. If you don't wish to get involved there is plenty of seating and a nice cafe where you can observe all the action, the food is all freshly cooked and great value. Xsite Skatepark is a fantastic facility in which to learn or enhance your skills on a skatebord, skates or bike. Situated in the Grand Parade, The Embassy Theatre offers a whole host of entertainment from musicals, comedy, plays and the obligatory pantomime at Christmas! Friendly staff, great shows and comfortable facilities make a night at this theatre an enjoyable experience. Lucky Strike is located in a prime position in the centre of Skegness on the sea front. The arcade is home to state of the art machines, and there are also fruit machines and a casino area. The bowling alley is on the ground floor. The soft play area on the top floor is a big hit with children, who will happily spend hours here running about. There is also a crazy golf area located here. You can exchange your tickets for prizes so you could take something nice home after your visit. There is a a restaurant located on the top floor that provides casual dining as well as lovely views out over the beach, Grand Parade and Clock Tower. The menu has the usual favourites that are tasty and well priced. Coffee Point is the place to call to enjoy a coffee in a relaxed and welcoming atmosphere, you can seat indoors or on the open-air balcony. The staff are really nice, friendly and helpful. Lucky Strike is a fun place for the whole family, everyone can find something to entertain them and everyone will enjoy the challenge of collecting tickets to swap for prizes. Reputedly the largest thatched manor house in the country, Alford Manor House was built to a traditional H plan in 1611 (its attic rooms are virtually untouched since that time). Architecturally fascinating, it also boasts award winning tearooms. The cinema first opened its doors to the film viewing public in the 1920s. They show many films from big blockbusters to more rare art house films — see website for details. Built in 1877, this restored six storey mill is today a fully working mill with complete gear, sails and fantail. The award-winning tearoom sells produce made from the mill's organic, stone-ground flour. A great place to see a variety of acts and performances — from tribute acts, to plays, to music events, there's something for everyone at the Blackfriars art centre. See website for details of forthcoming events. A trip to the cinema is the perfect rainy day activity which both children and adults will enjoy. So why not buy a big tub of popcorn and settle down to watch the latest blockbuster! Displaying porcelain sculptural pots and domestic pieces with a variety of textures and glazes, the pottery and gallery is housed in a traditional carrstone coach-house and stables, once part of the Royal Estate and set just one mile from Sandringham. Experience the old stone grinding process first hand and enjoy spectacular views over the Lincolnshire Wolds. After taking a tour of Alford Five Sailed Windmill, enjoy afternoon tea in the old Sail Shed and peruse the antiques in the old Engine House. Produce from the mill can be purchased in the shop on site. One of the two best surviving examples in England, this late 17th-century brick built chapel was used by local Baptists as a secluded place of worship. Recreated on an original WW2 airfield, this extraordinarily evocative museum not only gives a real insight into life on a bomber airfield but also displays information and items from POW and Concentration camps, with all their stories of sadness and heroism. Built in 1819 for the Reckitt Family, Maud Foster Windmill is one of the best examples of a working mill in the UK. Flour is stone-ground in the traditional way as the 5 sails turn majestically in the breeze. Flour, muesli and porridge oats are all sold in the mill shop. After exploring the 7 different floors, relax in Maud's Tea Room with a cup of tea and a slice of cake. The squat profile of St Botolph's Church has earned it the nickname of 'The Boston Stump'. Its impressive and distinctive church tower dominates the town of Boston and the surrounding fenland. One of the best-known churches in the country, it celebrates its 700th anniversary this year. Boston Guildhall is a magnificent building constructed in the 1390's to represent the wealth of the town and it still remains an important and grand building. Many of its original features are still evident today and you can appreciate the architectural genius of the building. A rich and interesting history is attached to the building as well as a collection of stories, secrets and experiences waiting to be told. In addition the Guildhall is home to the towns museum collection, there are permanent and temporary exhibitions on show illustrating the towns social and cultural history, through the ages. There are a number of interesting features including a Georgian Kitchen and the cell where the Pilgrim Father's leaders were imprisoned. It is well laid out and all the exhibits are clearly displayed with just the right amount of information available. There is a audio tour of the building. The staff are lovely really pleasant and helpful and happy to answer any questions you have, very knowledgeable. They are open 10.30am to 3.30pm Wednesday to Saturday and there is no charge for admittance. They operate a range of events during the year that are fun and entertaining for all ages especially young children so keep an eye out for these on the website. Boston Guildhall is a gem of a museum and should not be missed if you are in the area, a great way to find out about the towns local history in a pleasant and intriguing setting. You'll find lovingly restored and meticulously maintained aircraft on display at this visitor centre. The Lancaster, Spitfires and Hurricanes are not museum pieces, they can be seen regularly at air shows around the country. Visitors can even meet the pilots who fly these wonderful aircraft and the ground crew who maintain them. An interesting and informative day out! Metheringham Airfield is a small, well maintained museum dedicated to RAF 106 Bomber Squadron which flew from here during the second world war. Photographs, information and displays give a fascinating insight into everyday life on an active airfield. What's more, many of the original buildings still remain, including the ration store. Regular events are held throughout the year. The much-loved country retreat of Her Majesty the Queen, is perhaps the most famous stately home in Norfolk. Within the Estate, 600 acres of woodland and heath in the Country Park are open to the public free of charge every day of the year. Heckington's unique eight-sailed windmill is a landmark in the surrounding Fens. Built in 1830, the mill stopped work in 1946, but after restoration opened once more for work in 1986. The turning sails can still be seen when the wind is right.